For our 2nd block this year I went back in time to 2007, to my trip to Ireland. Block 2 is the “Killarney National Park, Ireland”. 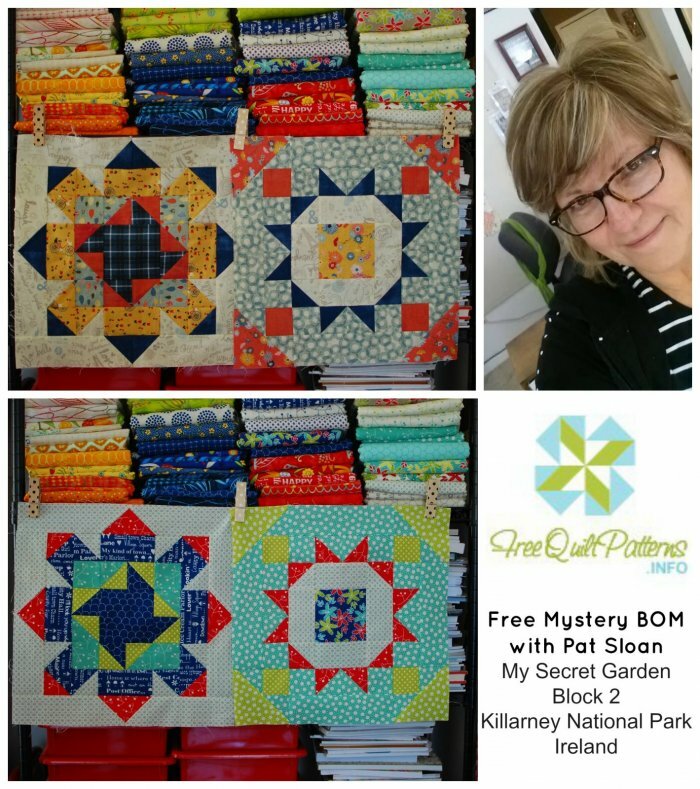 I'm making two colorways of my Mystery Quilt. The first colorway with the gold fabric is Mon Ami from Moda. The second colorways my own Hometown Girl from Moda, available in quilt shops in Feb! I have constructed our block with squares, rectangles, triangles, and half-square triangle units. When you download my tutorial you'll find photo step outs for the corner units. This year the blocks are nice large 16.5” x 16.5”, so we will have a fun lap size quilt when done! Two months this year you'll make 2 blocks so we have a 3 x 4 structured block layout. The layout diagram is at the end of the pattern. In 2007 I hosted a trip of quilters to visit Ireland. 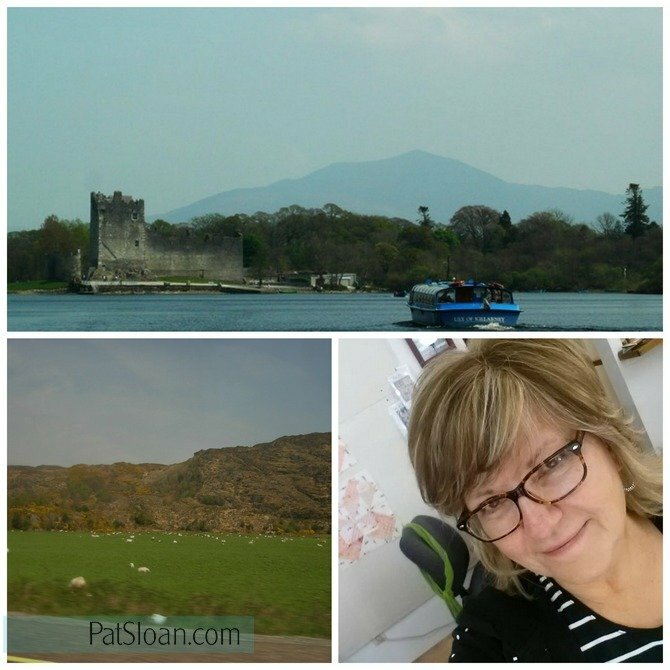 We spent several days in Killarney. One misty afternoon (we ARE in Ireland!) we went over to the National Park. In the park is a small castle on an island, just a short ferry ride away. We were we up for this? Of course! It was so incredibly green there. As green as anyone every tells you it will be. How often do you find a castle in a garden in your home town? That many? Lucky you!! I designed my block so that the center was my castle with the blue water around it. Besides seeing lots of green hills and lots of sheep, we really did walk right up to this amazing little cottage with the thatched roof and tulips out front. Incredible! This garden had lakes, and fields, and a little drive with a castle on a lake views.. oh yes.. I really did see all this! 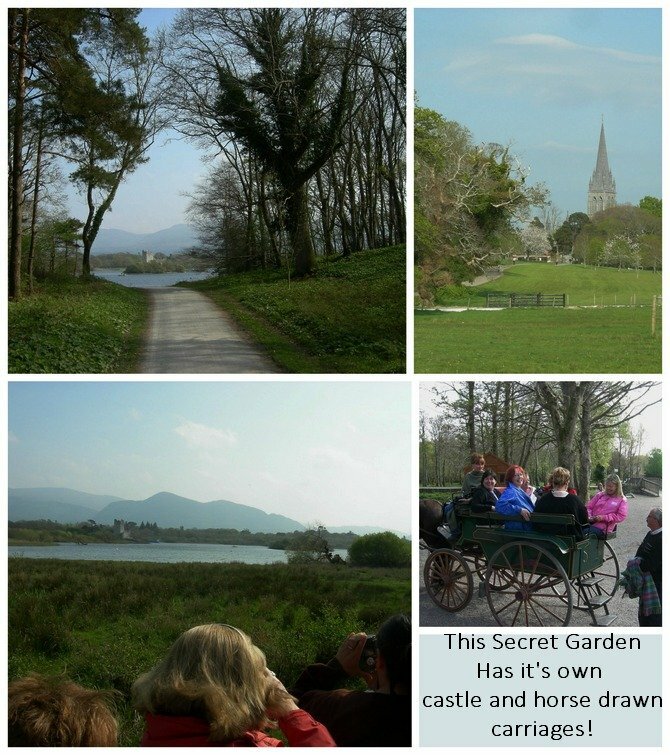 At the end we took a buggy right back to the front of the park to bus, it is truly a magical garden to explore when you go to Ireland. . 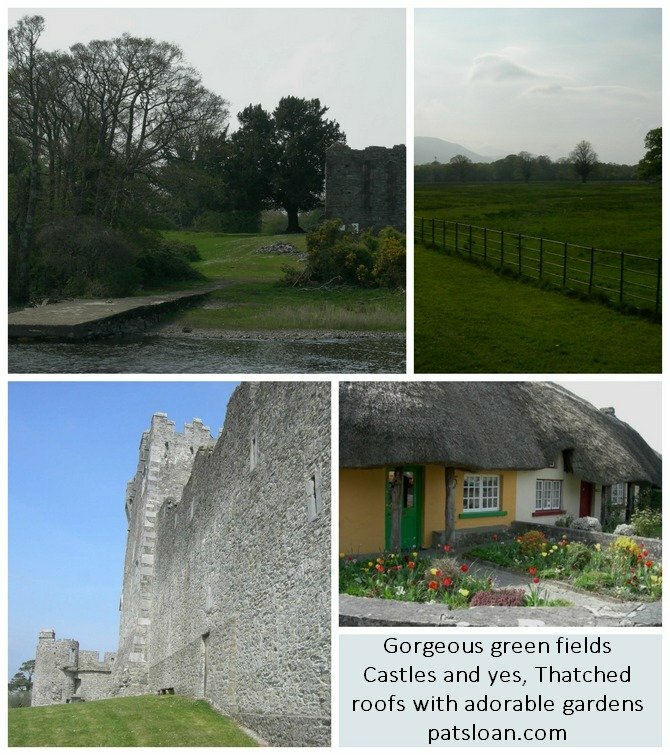 Learn more about the Killarney National Park in Ireland. Do you have a favorite Natioanl Park garden? One with a castle or maybe something unique I should know about? I'd love to hear about it! In my Tutorial Video this month I show you how different the color markings on rulers are. And a tip at the end that lets you know when to replace your ruler! Each month I have a new tutorial on a quilting technique or tip, be sure to watch the video! Visit my post about Block 2 and share a photo of your block at my quilt show!